Playtest our new murder mystery game – The Reality is Murder! Some great stories about our games! We are close to launching our newest game, The Reality is Murder, and we need your help! We've tested the game and checked it thoroughly - but we could do with three or four murder mystery enthusiasts to test The Reality is Murder with their friends and provide us with feedback. It is 2003 and Tribal is Network 123’s reality show where 12 people live for up to 40 days on the beautiful island of Moko Shanti. Every few days, contestants vote each other off the island during Tribal Meetings. Now, only three contestants are left, and tonight is Tribal’s finale. Tonight, everyone has returned to the beach where the final Tribal Meeting will be broadcast live and the winner of the $1,000,000 prize will be decided. Afterwards, a lavish after-show party will be held for the cast, crew, and guests. The Reality is Murder is one of our larger games and is for 23 to 30 players. Obviously we'd like you to be able to play The Reality is Murder in the next two months or so. If you'd to be involved, please drop us a line at info@freeformgames.com with information about yourself and when you will be able to host the game. There are loads of these online rating systems now, and we eventually decided that we would start using one of them – Trustpilot. The idea is that people who come to our website who don't already know us will be able to see objective data, gathered by an outside agency, on how our customers rate us. We're very pleased to say that at the moment we are rated Excellent, with five stars out of five –so thank you to everyone who's placed a rating and/or written a review! This is the data we hold on you and what we do with it. Please note that we never pass on your details to anyone else for any reason. As the transactions are processed by PayPal or Worldpay, we don’t see your credit card details at all. Newsletter: When you sign up to our newsletter, we record your email address and your country of origin. If you unsubscribe from the newsletter, we delete your email address. Email correspondence: If you contact us via email, we hold your name and email address and whatever information you’ve included in your emails. We hold these indefinitely, as as sometimes refer back to them when we are answering similar queries from other customers (we don’t include your details of course). Testimonials: If you send us a testimonial, we keep your name and your location, and these are shown on our website unless you’ve asked for your testimonial to be anonymous. Photographs: If you have sent us a photograph, we record who sent it. We do not “tag” anyone in the photograph. We have had to take our online invitation system while we work out if it complies with the new GDPR regulations (see above). 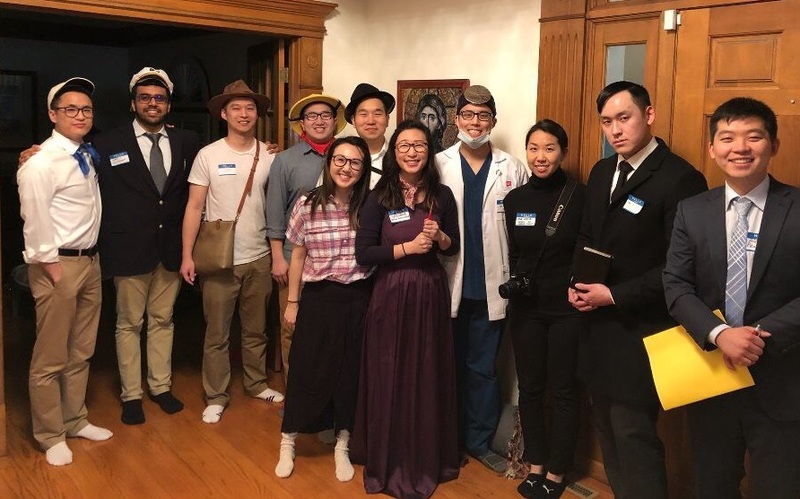 The problem is that it required the host to enter the details of the people attending their party. Those details are classed as personal data by GDPR, and we believe that we require the owner's consent before we can use it to send party details. So while we work out what we're going to do, or some up with an alternative solution, we've taken the invitations down. And if there's someone reading this who knows how we can solve this problem, please let us know! Back in the earlier days of Freeform Games, our discussion forum was an important and valuable way to hold conversations with customers and with people who were interested in our games – for us to answer questions and explain things, and for hosts to give each other tips and advice. Unfortunately over time it's proved impossible to keep it secure, and so we've had it closed to new accounts for some years now. Each time we applied a new security patch and opened it back up, the hackers started work, and within a few days it was once again flooded by spam registrations and posts which took us valuable time to clear up. Now we have our Facebook page as our main channel of conversation, and we've decided that it's time to retire the discussion forum. We're going thruogh the posts now, rescuing all the useful tips and good pieces of advice and suggestions, and we'll be adding them to our main website's Hints and Tips page. Then the forum will quietly disappear. Thank you to everyone who's contributed to it over the years! Stories from far-flung customers are always nice to see! We have ourselves had family members working overseas for long periods, so we know how valuable social events can be in bringing together people and communities. and we're attending A Speakeasy Murder this coming weekend. You''ve got a niche cult following among some of the expat and broader community here in Dar es Salaam – we're big fans! 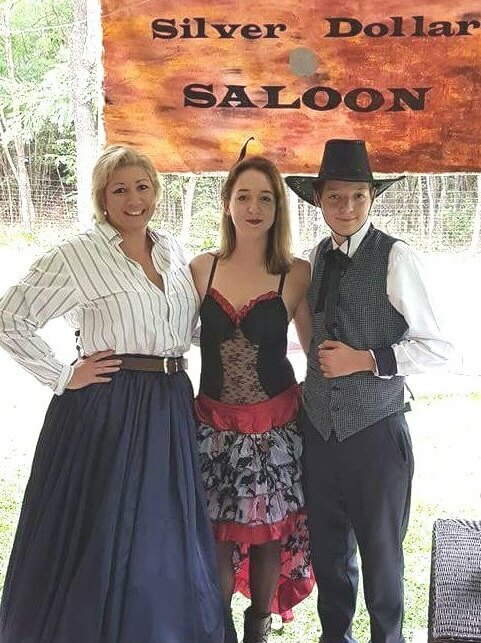 "I tried my first freeformgames murder mystery evening, Way out West, in December 2017. We live on a farm on the outskirts of a town in Zambia. Our community is a melting pot of nations… South Africans, Zimbabweans, Australians and a good few Brits in with the locals. We are blessed with lovely weather and were able to host the evening on our veranda, which spilled into the garden! We had quite a feisty bunch who wanted to pinch, poison and shoot. Thank heavens I had a barmaid assistant to handle all the rock paper scissors challenges. 90% had never played before… And those who had, said they had never actually finished one! Well this time we did finish, and it was super fun, really entertaining and everyone made me promise to do another in the new year. Hence Hollywood Lies happening soon! We hope you've enjoyed our free version of Way out West. Did you know that we've also created apaperback book version as well? It's not free, unfortunately, but we think it's easier to read than the version you downloaded (which is designed to be played). 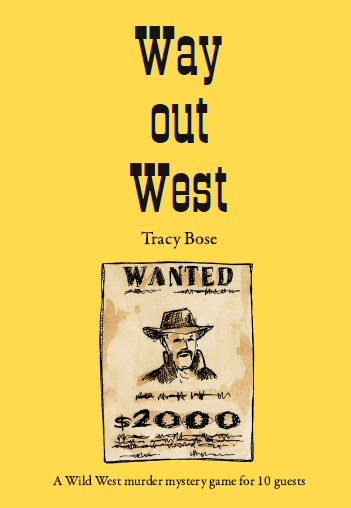 You can get Way out West at Amazon.com or Amazon.co.uk.